Veeam Software has released a third version of its Microsoft Office 365 backup program, which the company touts as “30 times faster than the previous version” with improved security and enhanced customer visibility and analytics. Veeam Backup for Microsoft Office 365, first released in 2016, provides backup for Office 365 data not locally stored on a device. While Microsoft offers backup and restore for accidentally deleted Office 365 content, Veeam provides an on-premises copy of the data that users can access for individual item recovery. With the update, the backup time is reduced from hours to minutes compared to the previous version, and a multi-factor authentication provides improved security, according to Veeam. Additionally, Veeam Backup for Office 365 offers Office 365 data protection reports that help identify unprotected mailboxes, and also manages license and storage use. The program provides backup for multiple programs, including Office 365 Exchange Online, OneDrive for Business, SharePoint Online and Microsoft Teams. Microsoft Office 365’s growth in popularity has created the opportunity for backup providers to offer plans to more than 140 million Office 365 users. Currently more than 55,000 organizations, representing seven million Office 365 users, use the Veeam backup system to manage and retain access to critical information for governing, compliance and recovery purposes. Other backup software options are available from Veritas Technologies, Acronis and Commvault. Veeam Backup for Microsoft Office 365 keeps on-premises copies of cloud-stored data. Veeam Backup for Microsoft Office 365 v3 is available now, with one- to five-year subscriptions. Users can choose to be billed on an annual basis, or they can pay it all upfront. The least expensive plan is the three-year subscription, which is billed upfront at $1.20 per user, per month. This comes out to $14.40 per year, or $43.20 total. All subscription licenses are sold per user, with a minimum of 10 licenses required. 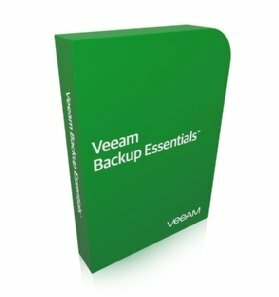 There is also a free 30-day trial available on Veeam’s website and a free community edition. The community edition provides access and control of Microsoft Office 365 for free with identical functionality to the paid version. However, the free version is limited to 10 users and 1 TB of SharePoint data.